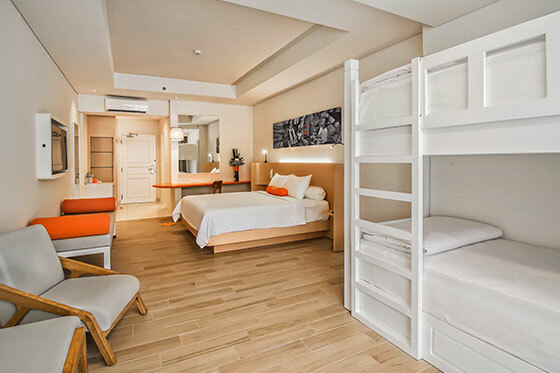 The spacious HARRIS Rooms with modern and contemporary design (32 sqm). 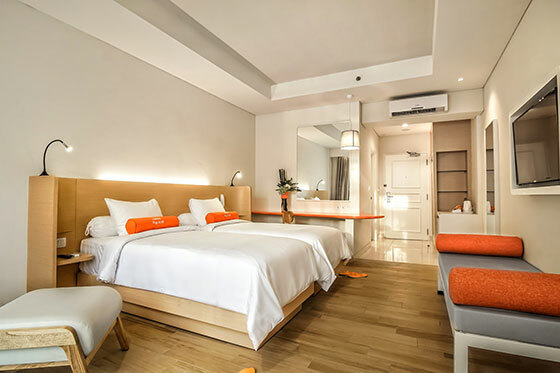 The HARRIS Funky room provides a comfortable living space furnished with Comfortable Queen or Twin Size beds. Furnished with modern and contemporary furniture. 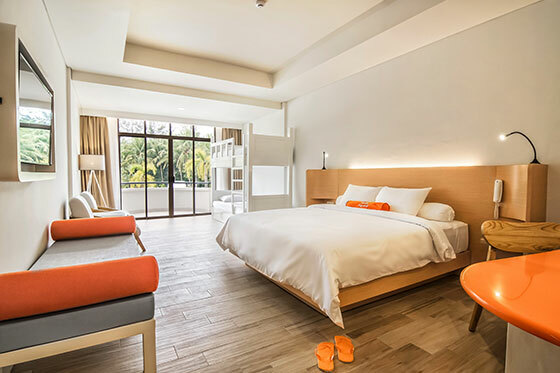 The spacious family room (40 sqm) is designed to cater to travelling families or groups. Furnished with modern and contemporary furniture with pool access. The spacious family room (40 sqm) is designed to cater to travelling families or groups. Just few steps away from the beach. 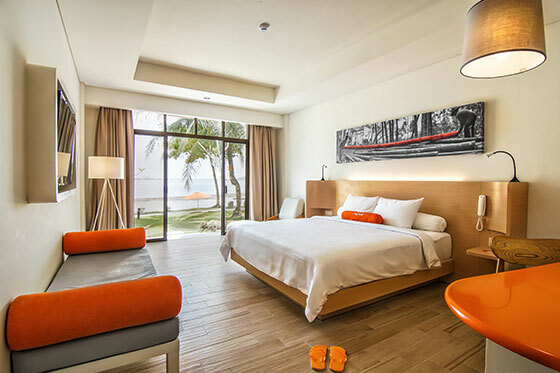 The spacious HARRIS Rooms (32 Sqm) with modern and contemporary design it comes with an open terrace facing to refreshing beach view.